When your bike runs like a champ but looks clapped out, Acerbis has your back with their Full Plastic Kits to make your machine look young again. These kits are formed to the original factory shape and dimension to fit your ride perfectly without any hassle. Several colors are available including matching factory colors for certain model years. 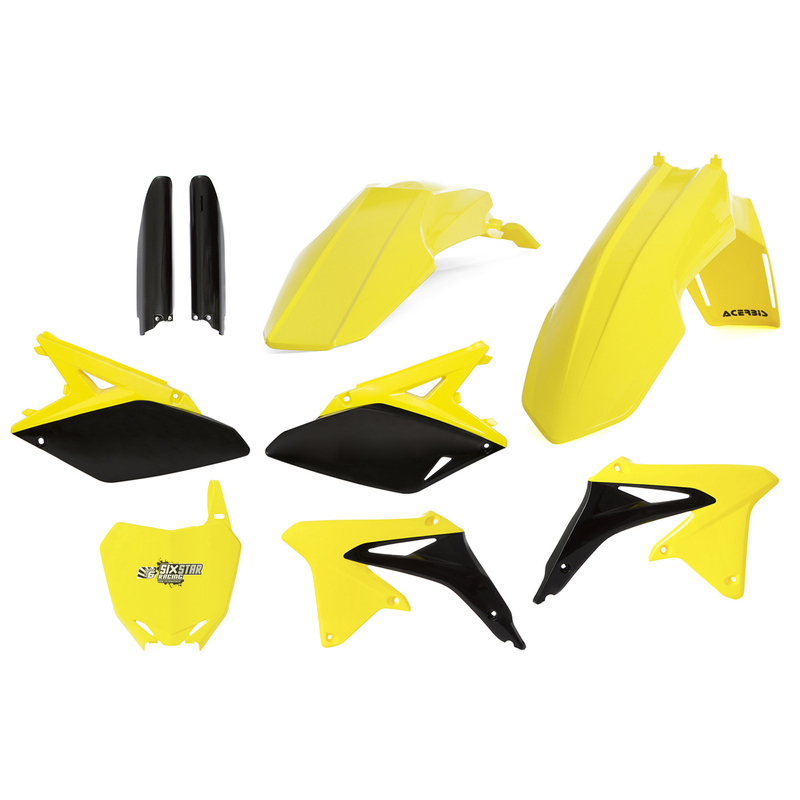 Acerbis kits come as complete sets and include side panels, front fender, front number plate, lower fork cover set, radiator scoops, and a rear fender so you don’t have to dig around or mix and match plastics. And of course Acerbis plastics are made from the best materials so your bike will be ready to go with renewed looks with an added measure of protection. Colors marked with "original" correspond with the original factory colors of this model/year.